(Cabletron Systems, Inc., Rochester, NH) A networking company founded in 1983 and separated into three companies in 2000: Enterasys Networks (www.enterasys.com) for enterprise class routers and switches, Riverstone Networks (www.riverstonenet.com) for carrier-class products and Aprisma Management Technologies (www.aprisma.com) for network management. 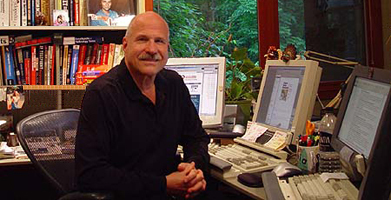 Cabletron was founded by S. Robert Levine and Craig Benson. What began as a part-time venture in a garage evolved into a billion dollar company by 1996. Cabletron has been known for its modular hubs and switches that support Ethernet, Token Ring, FDDI, SNA and ATM. The company also developed a reputation for its advanced SPECTRUM network management software, sold by its Aprisma parent to Concord Communications, which was then acquired by Computer Associates in 2005. SPECTRUM from Aprisma became the core product in CA's network management line.